Italian minister of foreign affairs made it plain to Austrian ambassador that not only Italy would not fight with Germany and Austria, but compensation were expected for Austria extending its territory in Serbia. For six months Italy remained neutral, stating that the Triple Alliance was defensive and no alliance member should have been declared any act of war without previous consultation amongst treaty signatories; Article 7 of the Triple Alliance foresaw compensation to maintain the balance of power in the Balkans. In fact, Austria-Hungary consulted only Germany in the days preceding Serbian ultimatum and Italy discovered Austrian war declaration from newspapers and not from ambassadors. Italy took the initiative in entering the war in spring 1915, despite strong popular and elite sentiment in favour of neutrality. Italy was a large, poor country whose political system was chaotic, its finances were heavily strained, and its army was very poorly prepared. The Triple Alliance meant little either to Italians or Austrians – Vienna had declared war on Serbia without consulting Rome. Two men, Prime Minister Antonio Salandra and Foreign Minister Sidney Sonnino made all the decisions, as was typical in Italian foreign policy. They operated in secret, enlisting the king later on, but keeping military and political leaders entirely in the dark. They negotiated with both sides for the best deal, and got one from the Entente, which was quite willing to promise large slices of the Austro-Hungarian Empire, including the Tyrol and Trieste. Russia vetoed giving Italy Dalmatia and Albania. Britain was willing to pay to get 36 million Italians as new allies who threatened the southern flank of Austria. Only after the Treaty of London was secretly signed in April 1915, the leader of Italian neutralist Giolitti, collected enough parliamentary support to force the Prime Minister Salandra to resign; during the consultation with the king for establishing a new government, Giolitti was informed that Italy was already committed to war and faced the choice of acquiescence or risk a crisis between parliament and king and another between Italy and the other signatories of the London Pact. Giolitti renounced and Salandra returned to office. Most politicians, and indeed most Italians opposed the war, including most Catholics. Reports from around Italy showed the people feared war, and cared little about territorial gains. Rural folk saw war as a disaster, like drought, famine or plague. Businessmen were generally opposed, fearing heavy-handed government controls and taxes, and loss of foreign markets. Reversing the decision seemed impossible, for the Triple Alliance did not want Italy back, and the king's throne was at risk. Pro-war supporters mobbed the streets with tens of thousands of shouting by nationalists, Futurists, anti-clericals, and angry young men. Benito Mussolini, an important Socialist Party editor, took a leadership role, but he was expelled from the Party and only a minority followed him. Apart from Russia, this was the only far left party in Europe that opposed the war. The fervour for war represented a bitterly hostile reaction against politics as usual, and the failures, frustrations, and stupidities of the ruling class. Tyrol, up to the Alpine water divide at the Brenner Pass, which includes the modern-day Italian provinces of Trentino and Alto Adige (the latter called “Cisalpine Tyrol”). The entire Austrian Littoral, including Istria, the port of Trieste and the Cres-Lošinj archipelago, but without the island of Krk (Veglia) and the Hungarian port of Rijeka. Northern Dalmatia, including Zadar, Šibenik, and most of the Dalmatian islands, except Rab and Brač. The districts of Vipava, Idrija and Ilirska Bistrica in the Austrian Duchy of Carniola. 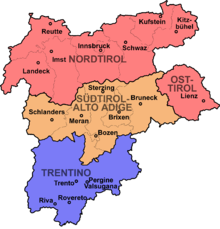 The townships of Pontebba (Pontafel) and Malborghetto Valbruna (Malborgeth-Wolfsbach) in the Austrian Duchy of Carinthia. A protectorate over Albania ("Italy should be entrusted with the task of representing the State of Albania in its relations with Foreign Powers"). Small compensations in Africa in case German colonies in Asia and Africa were occupied by Allies , in particular border adjustments between already existing Italian colonies and British and French ones. In the event of the partition of Turkey, Italy "ought to obtain a just share of the Mediterranean region adjacent to the province of Adalia"
The Dalmatian coast between the Krka and Stagno (Ston), including the Sabbioncello peninsula (Pelješac), the port of Split, and the island of Brazza (Brač). The coast south to the Albanian port of Shengjin (San Giovanni di Medua). Some unspecified areas of Albania (to be divided among Serbia, Montenegro, and Greece). Italy insisted, and the Allies agreed, that the question of the Adriatic coast between Zara and Istria should be settled after the war. Italy also insisted that Serbia should not be informed about the agreements. However, the Allies over-ruled this by sending an official note to Serbia on 4 August 1915, confirming the post-war territorial claims of Serbia and Montenegro. The pact was to be kept secret, but after the October Revolution in Russia, it was published in November 1917 by the Russian journal Izvestia. After the war, Italy would only negotiate with Serbia and Montenegro. The Italian delegation staged a walk-out for a number of months when faced with the denial of their territorial demands. Point 9: There should be a readjustment of the frontiers of Italy to be effected along clearly recognizable lines of nationality. In Wilson's view, the Pact of London had been arrived at by secret contract, hence was not valid. Nevertheless, Wilson had no particular problem with the implementation of other secret wartime agreements such as the Sykes–Picot Agreement. Overall Wilson sought to achieve borders being determined by the populations present in the area rather than by outside parties; the pact of London adjudicated to Italy areas that did not have a majority-Italian population. Wilson believed that Slavic claims to some of the disputed regions were more sound than those of Italy. Italy ultimately was denied other gains promised in the Treaty: a share of German colonies and control of Albania. Italy tried to establish a physical claim in Anatolia (Turkey), but was quickly forced to evacuate. The partition of the Tyrol on the water divide line was confirmed by the Treaty of St. Germain. After the war, British and French leaders refused to fulfil all the promises in the pact. The irredentist nationalist element of Italy considered this an inexcusable betrayal by these two European allies. The colonial gains by Britain and France from the war further angered the Italians. They felt excluded, although the gains were largely in the form of mandates from the League of Nations, looking toward preparation for independence, rather than simple colonial expansion. The breakdown of the London Pact helped give rise to a belief in a so-called "mutilated victory" within Italy, which played a role in determining Italian inter-war expansion. In 1920 Italian nationalists created the Free State of Fiume, although it had not been assigned to Italy in the Treaty of London. This underscored the unstable results of the Treaty of Versailles relative to Italian claims. During the negotiations, the USA suggested that the pact be revised on the grounds of a fundamental change in circumstances. Though this reasoning was rejected by the other powers, it is noteworthy as an early example of American invocation of this legal principle. Wikimedia Commons has media related to Treaty of London (1915). ^ C.J. Lowe, "Britain and Italian Intervention 1914-1915." Historical Journal (1969) 12#3, pp. 533-48. ^ Martin Clark, Modern Italy: 1871-1995 (1996), pp. 180-5. ^ Dennis Mack Smith, Italy: A Modern History (1969), pp. 292–305. ^ "The Italian Declaration of Neutrality - World War I Document Archive". wwi.lib.byu.edu. Retrieved 2018-04-19. ^ American Society of International Law. Volume 15, Oxford University Press, 1921, p. 253. ^ Mahmood M. Poonja, Termination of Treaties Owing to Fundamental Change of Circumstances (Clausula Rebus Sic Stantibus): A Doctoral Dissertation [Juris Doctor dissertation, Charles University, Prague, 1977] (Rawalpindi: Abbas Arts, 1982), p. 19.